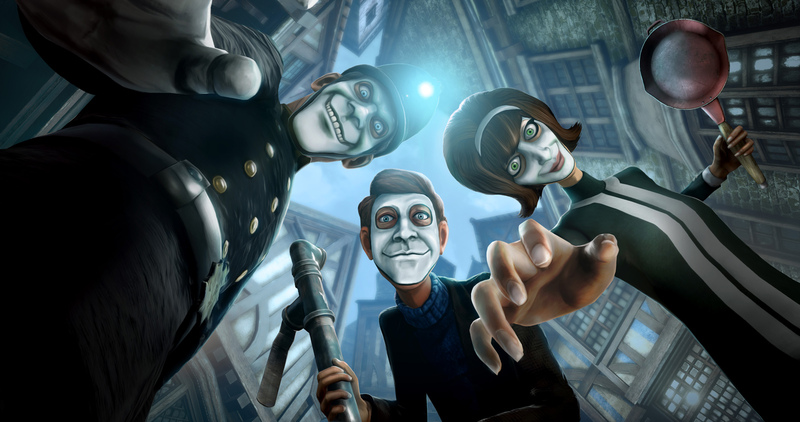 We Happy Few is a video game by Compulsion Games that has been in the works for several years, now. I even paid for the early access way back in 2016 because I was super excited for the concept. I had never bought early access before, and may not see myself doing it again in the future because I’d really prefer to have a full game than half of one. Either way, the early access version gave me a peek into what was to come, coupled with what I was promised of what it would be, I went ahead and waited for the full release. I am quite pleased with what it became. 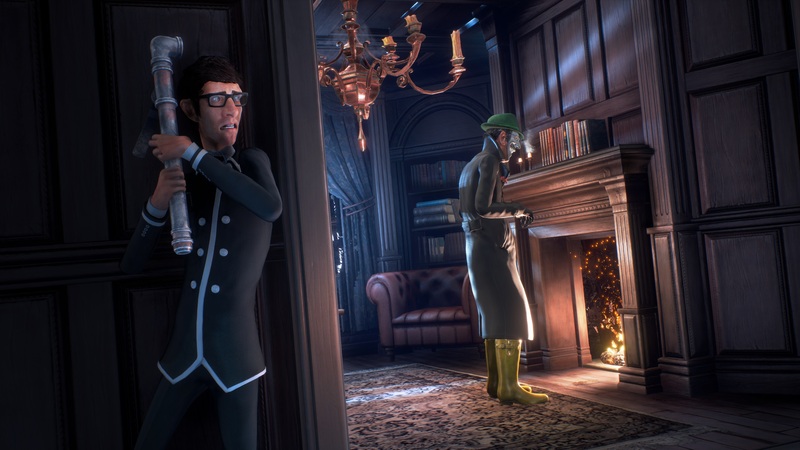 Blending elements of Bioshock, political commentary of the current drug epidemic the U.S. is experiencing (sort of like EQUILIBRIUM), and survival games: We Happy Few is still very much its own thing. The game centers around three people and their separate stories living in post-war Britain during the 1960s. You play through as Arthur, Sally, and then Ollie, these characters all have their different strengths, weaknesses, and personalities. The pain of the past and the war crimes the people in this land have committed have become too much to bare. With the invention of a kind of super-antidepressant called Joy, that has become the root of the lifestyle for both the middle and upper class, a very dark world is formed. Joy brings a feeling of utter happiness to the user, beyond empathy. If anyone in civilization is caught not taking their Joy, they are violently beaten and/or exiled. It is not without its side effects, like most drugs. There is withdrawal, paranoia, and most of all memory loss. Because how can you be sad if you still remember the bad things that have happened? (This is the only time Joy’s memory loss works to your advantage, because people forget that they are chasing you. For some something like this makes sense in a video game, unlike when you shoot a guy in the head with an arrow in Skyrim and he decides that there isn’t anything there after a while.) Things have gone on for a decade this way, and people are starting to wise up to it by building a tolerance to the substance, and by noticing the effects of “bad batches” that have started coming out of the labs. Within the game there are times where you are required to take the Joy, to pass through checkpoints or to evade suspicion. 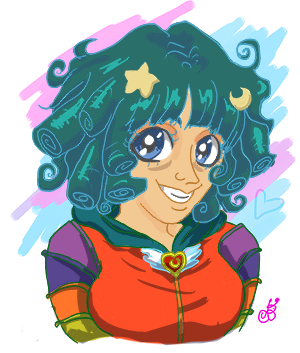 Suddenly the sky is full of color, patterns appear on the building, and your character does their gleeful happy walk. It’s dangerous to take too much, because you can overdose and start throwing up what you perceive to be butterflies, and eventually lose your memory. 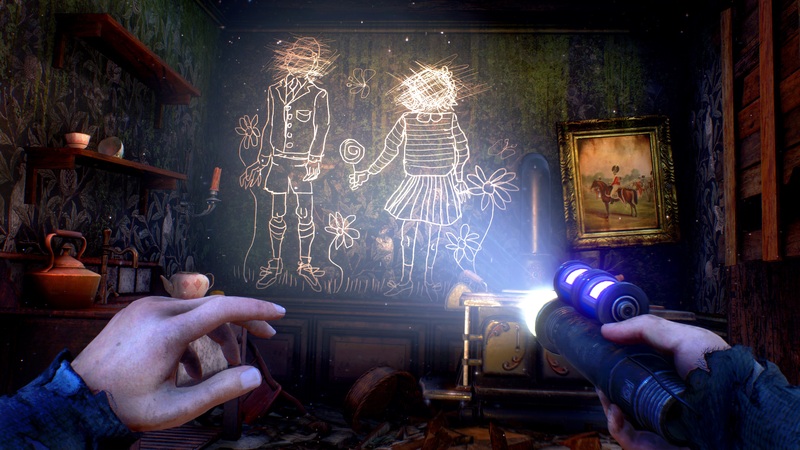 There are a few themes wrapped up in We Happy Few. It is a cautionary tale about the dangers of overmedication and the unsustainability of medicating an entire population. It touches on temptation, addiction, and repression. Not everything is blamed on Joy, people do fudged up things without the aid of drugs long before it ever comes into fruition. Just like real life! The story and quests are both dark and at other times enjoyably quirky, making the game uniquely fun and engaging. There are a couple of quests where you are required to keep yourself high on magic mushrooms to eventually talk to a magic yam. I had this yam grant me the power of the horse, it was great. Some main plot twists are a bit trashy, but the story is good for the most part. All of the characters have done pretty messed up things they would like to forget, so it’s hard to say if you are supposed to like the characters. I like them all, actually. 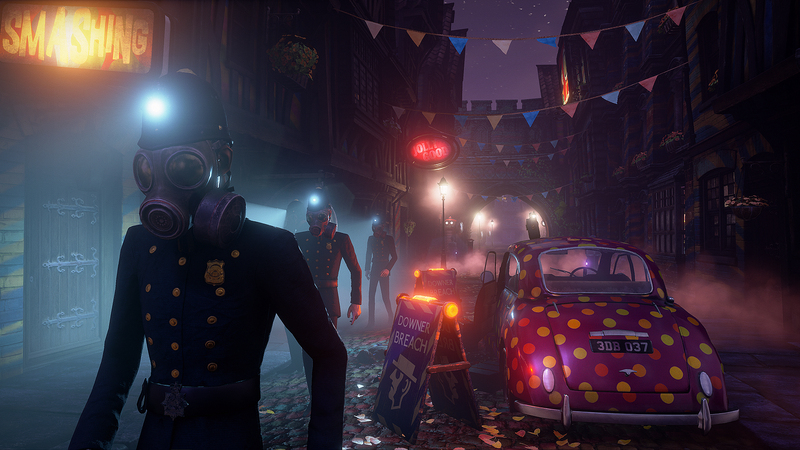 We Happy Few delivers the message that life does not stop at what you’ve done, but does go on. Though it is an open world full of quests, it is anything but repetitive--unlike Skyrim or the more recent Fallout games. I was quite tickled to even see the story of some specific quests continue/or effect the experiences of the different characters that you play. For a more psychedelic experience, maps are procedurally generated. The layout of Maidenholm for Arthur is not the same layout for Sally, although the same shops and landmarks are there. Eventually there will be a Sandbox Mode update where you can build the world to your liking. I’m not sure how that will play out but it seems like Compulsion Games is rather ambitious. In general, We Happy Few is a survival/sim/adventure, you can tailor your experience before you ever start. I am the kind of person who likes to enjoy a story, and not so much the fight or keep my character fed. Under a custom difficulty setting I was able to turn off the survival needs for sleep and food. A lot of games these days are following a trend to include a survival aspect that I’ve never really been fond of. So I was able to remove a part of the the game I knew would irritate me, which made for even better gameplay, which is just so great! The cons of this game? Compulsion Games is an indie company, We Happy Few was crowdfunded and then early access funded. They have obviously worked long and hard on this game, but there are quite a few bugs. Some side quests have issues with events not triggering properly and you can never get them done. I never completed Heinous Package, though I definitely did fine without it. Sometimes when I discovered a glitch I found that I could just get back to it tomorrow and the glitch would be fixed or something would happen to get me through it. Sometimes people are halfway in the ground, standing on benches, sitting and floating across things. If it weren’t a game about being on drugs I would be more bothered by those things, but instead I just took it as a part of the experience. Apart from the glitches, I have been having a blast playing it. The amount of content for an indie game is unbelievable. There is so much! The game is well worth the full price. You can pick it up on PC, PS4, and XBONE!